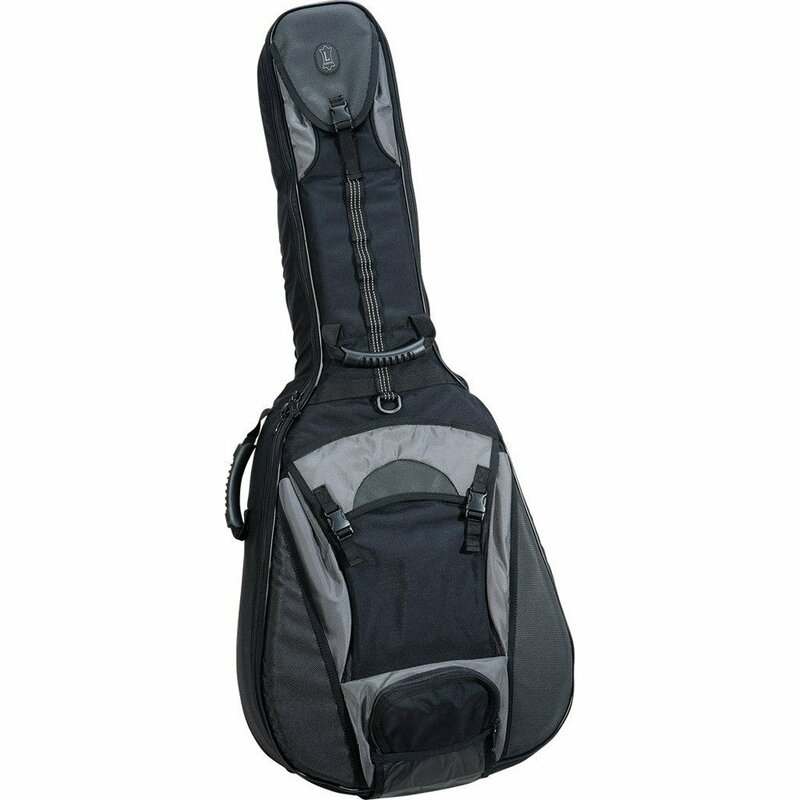 Feature-rich gig bag for acoustic guitar, constructed with two-tone polyester and rubber shell, 1″ foam padding, and headliner lining. Each bag is equipped with three exterior accessory pockets, hide-away back-pack shoulder straps, interior string protector, end-pin reinforcement slings, and hide-away rain cape. Inside dimensions: 43″ L x 18″ W (at lower bout) x 6″ D.